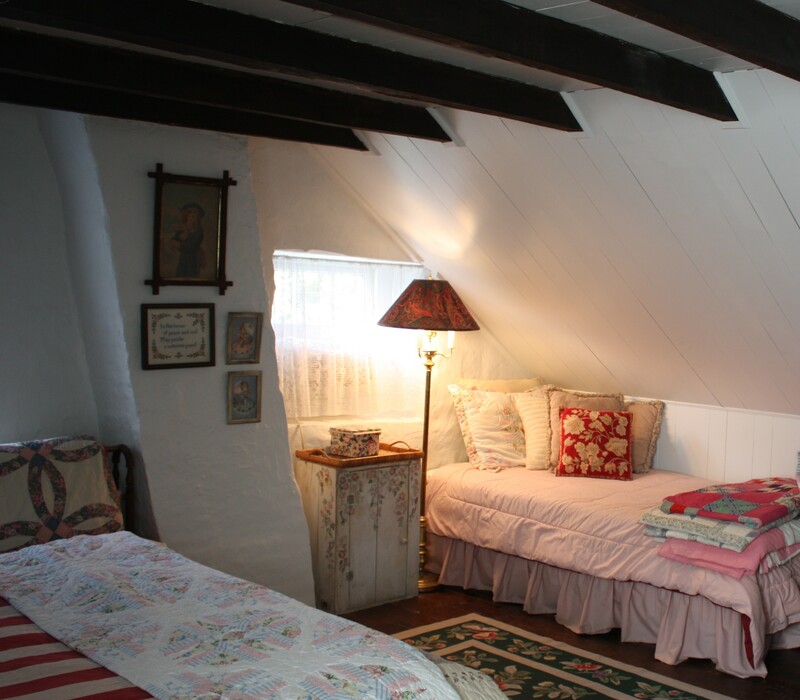 ‘The ‘Fredrick Houseman Room’ is privately located on the third floor of the inn and exudes a sense of history from the moment that you enter. Named after an 18th century owner, Fredrick Houseman, a date stone on the west peak of the house is inscribed “Fredrick Houseman 1791”. This date stone indicates when the final section of the Great Valley House was completed … the “modern” part, in the year 1791. 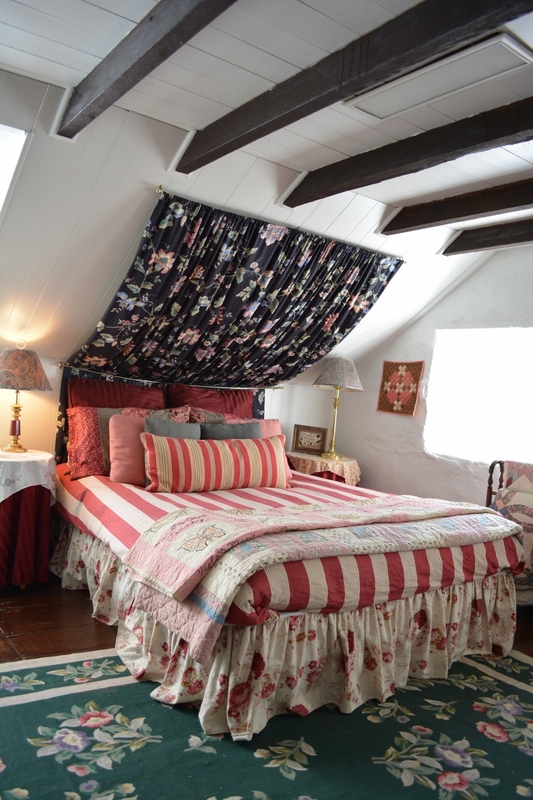 The Fredrick Houseman Room features a queen bed with a dramatic ceiling canopy nestled under the eaves of the house. 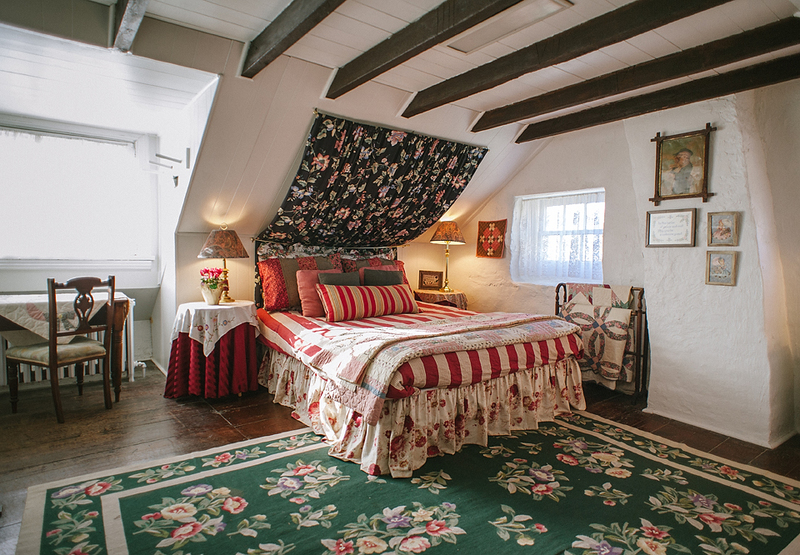 The centuries old exterior stone walls and original apple wood floorboards are apparent beneath the ancient wood ceiling beams. 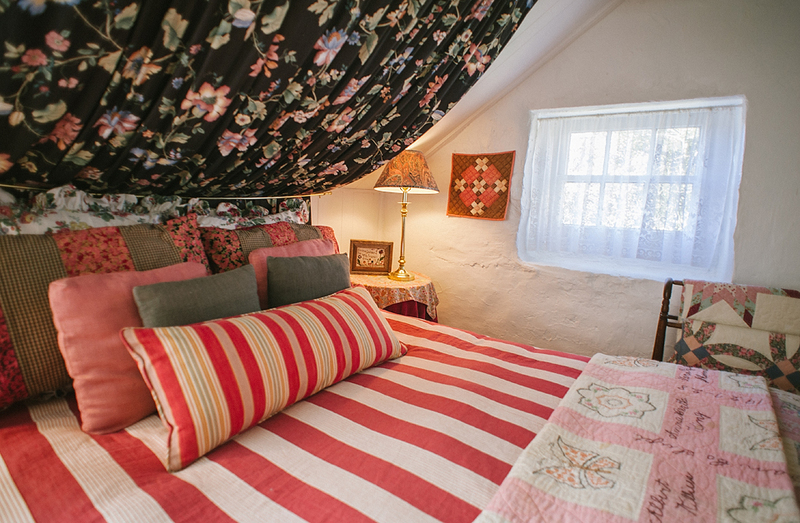 Many vintage quilts complement the room and a twin day bed in the corner provides additional sleeping space if needed. 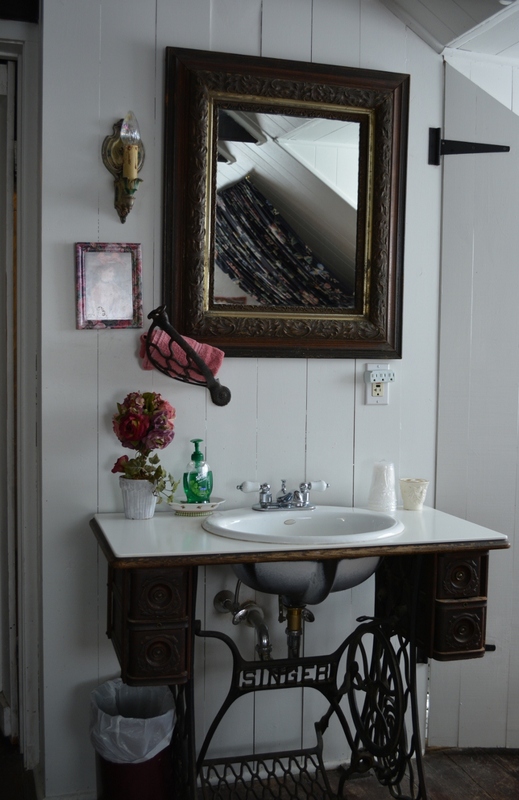 The Frederick Houseman Room has a charming private in-room bath with shower; an antique Singer sewing machine re-purposed as a sink adds a whimsical touch to the room. 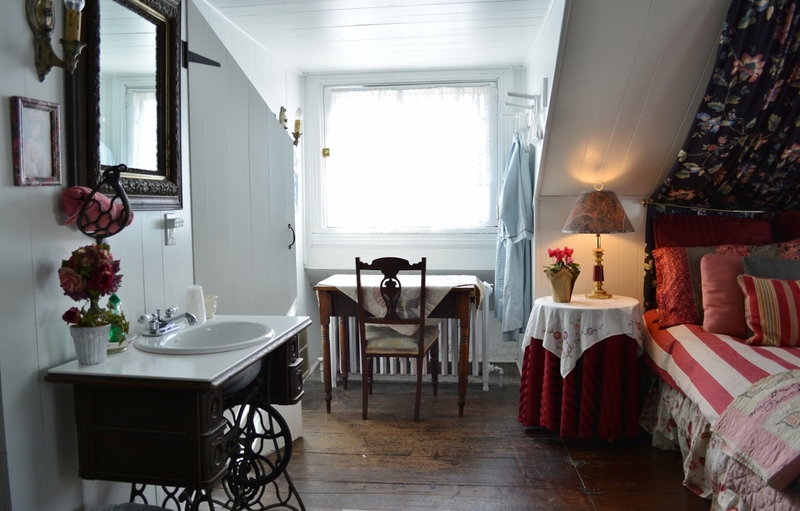 All rooms include private bath, hair dryer, air conditioning, cable TV and wireless Internet. Rate: $94 – $114 per night. 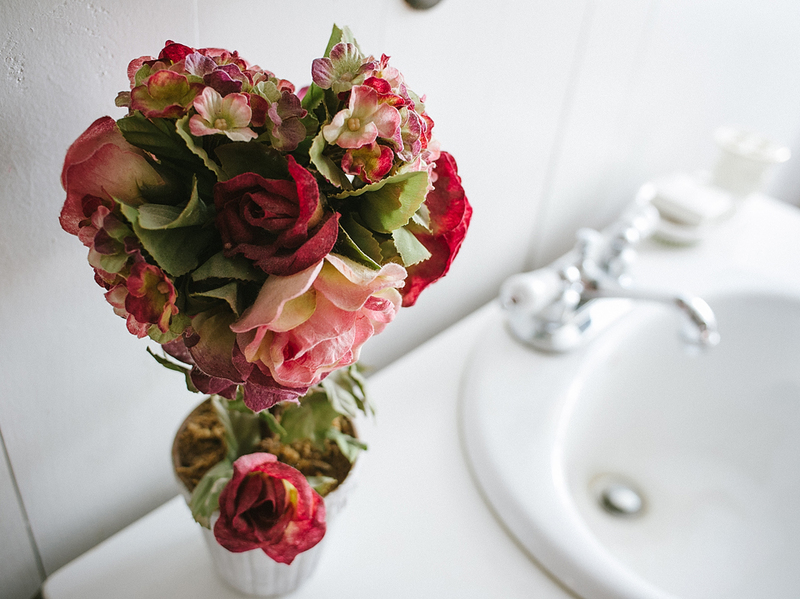 For an inquiry or hto make a reservation, click here.